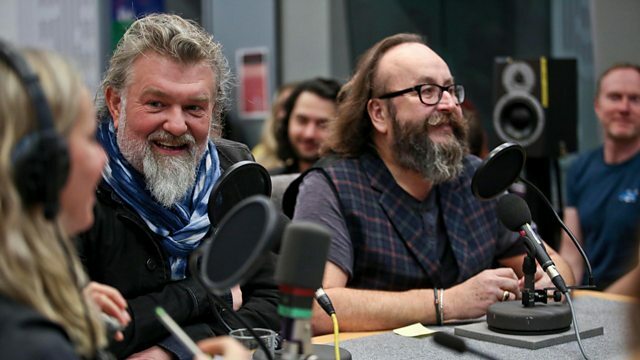 'The Hairy Bikers' Mediterranean Adventure' is published by Seven Dials and available now. 'The Book Of The Year'is published by Random House Books and available now. The No Such Thing as a Fish tour is in Nottingham Playhouse on the 24th, Manchester Opera House on 26th November and touring until March 2018. Check the website for details. Photo courtesy of Olly Burn. 'Jubilee' is at the Royal Exchange Theatre Manchester until Saturday 18th November. 'The Boy With The Topknot' is on Monday 13th November at 21.00 on BBC Two. 'Brothers of Destruction EP' and ‘Do Hollywood’ are available now on 4AD. The Lemon Twigs are playing at Leadmill, Sheffield on Saturday 11th, O2 Institute, Birmingham on Tuesday 13th and O2 Forum Kentish Town, London on Wednesday 15th November.